One week ago about this time, I left Dublin, returning to Athens on which was not a very pleasant trip. My plan was late in arriving and I got to sleep in the early hours of Monday morning. This whole week though has been full of thoughts of our time together at All Hallows. I dream of walking with you through the greens of Glendalough, of all the discussions we had and the times of fun and laughter. I must confess that the most moving moment of the Consultation for me was the overture of acceptance and trust you gave me in applauding my re-election as Coordinator of our Network. Your outburst caused me to actually lose my words! As I stated at the conclusion of our meeting in Dublin, I will continue to serve you all in every way possible. This is not only a great honour for me, but also a great honour for the Ecumenical Patriarchate which I represent. What I honour and cherish most though are the friendships that I have acquired. It seems that it is a common consensus that the level of interpersonal interaction and the bond of friendships formed during our meeting was unprecedented in relation to past consultations. This is truly a blessing because such friendship allows a real sense of support and sharing, which are qualities that the Network has been based on. “Two are better than one, because they have a good reward for their toil. For if they fall, one will lift up the other; but woe to one who is alone and falls and does not have another to help. (Eccles. 4:9-10)”. I am convinced though that, apart from the warm hospitality of our organizers, what allowed this sense of friendship to develop was that we were willing to begin to discuss the differences and tensions that both unite us and separate us and share the pains of growth that each chaplaincy has. Friendship can only be built on trust and honesty, and if our Chaplaincies are to grow in relation to other Chaplaincies, this sense of trust and understanding must be cultivated. Again, I would like to thank Chaplain Kathleen O’Conner and the organizing committee (Fr. 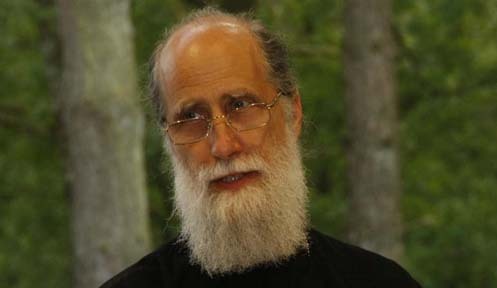 Bryan Nolan, Fr. Brian Gough, together with Danielle Browne) for all their hard work and efforts in making our stay in Dublin so wonderful. I am sure that Kathleen will continue to be a great asset to the Network Committee in the planning of the next consultation and in offering us all her wide experience in the area of health care chaplaincy. Allow me also to thank the members of the past Network Committee for all of their input leading up to the Dublin Consultation. It was a difficult time for the Network in that many “administrative” issues had never been dealt with in the past. Without the advice and support of the Network Committee, these issues would have never been solved. I look forward in working will all the members of our new Network Committee. This is the first time a committee has been elected in the fashion it was, which will prove to be a positive factor for the continuation of our efforts. All the new members are very qualified indeed. I really do not think that the real conclusions of our Consultation in Dublin have fully been digested. This will take some time. There are some issues which the past Network Committee had hoped to discuss which never were put on the table, as there where many issues discussed that were new and unforeseeable. But this is the exciting part of any consultation and such a development shows how we are free in expression and not bound to formalities! As issues develop, I will keep all of you informed. The next two or three months will be crucial, I am sure. Our Webmaster, Rev. Fred Coutts, has already begun setting up the new “after Dublin” website site. He has been very creative in doing so and I am sure that he will be informing all of you as he continues. The comforting fact is that in twenty months (May 2006), we will be together again in Portugal! In the next twenty months, there is a lot to be done. Between Turku and Dublin we had 26 months! That is six months less time to materialize our dreams! So there is a lot of hard work ahead. I can assure you that I have already begun.